Individual arrival in Rotterdam. Embarkation at about 04:00pm. You may have some time left to see Rotterdam’s stunning Market Hall. The Dutch refer to it as their version of the „Sistine Chapel“. At 06:00pm sail to Holland’s oldest town, Dordrecht, impressively located on an island between three wide rivers. Today cycle to the small town of Zierikzee, which is among the 10 most beautiful Dutch national heritage towns. The „fat tower“ rises high above the town. The top of the tower offers marvellous views over the town, the harbour and the island. Continue your tour crossing the Zeeland Bridge to Middelburg, the capi-tal of the province of Zeeland. Once the second most important city in the Netherlands after Amsterdam, Middleburg is a town full of history. Numerous shops and cafes are waiting to be discovered. 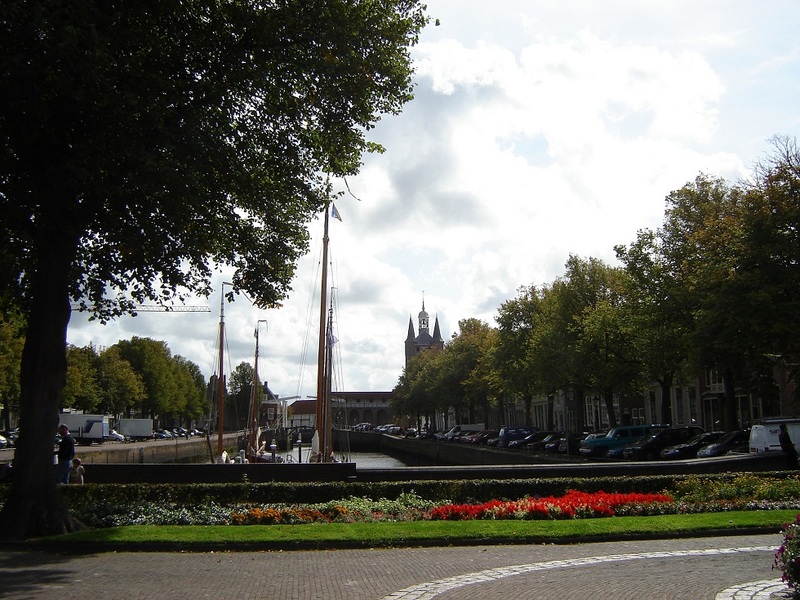 Today´s cycle tour starts in Willemstad and takes you back to Rotterdam. While passing the popular Erasmus Bridge you can see MS Olympia from a distance which already awaits you. Use the chance and experience Europe´s largest harbour on an interesting harbour tour. Disembarkation until 09:00am and individual journey home. Itinerary subject to alterations. In case a section of the journey cannot be sailed due to low or high water levels or bad weather conditions, the Captain reserves the right to modify the itinerary for your safety (this does not constitute a valid reason for withdrawal). Rotterdam: parking lot near docking place approx. € 28,-/day. Own bike: On request only - due to lack of space on sundeck. Storage of bikes inside the ship is not possible. Special dietary: requests will be respected as far as possible. Please inform us on booking. Price € 25,- per person/week. Welcome on board the MS OLYMPIA! Comfortable and cosy river ship with family environment. The ship was refurbished in 2015/2016. The panoramic salon with bar in gentlemen club-style and the bright and friendly restaurant are waiting for you to pass relaxing hours here. A spacious, partly shaded sun deck and storage space for bicycles. A total of 49 comfortable outside cabins for a max. of 96 guests. All cabins boast en-suite bathroom, hair dryer, telephone, TV, individual air conditioning/heating, fridge, safe und large panoramic window. 4 cabins of bigger size at the stern of the ship (12 qm, 3 of which feature twin beds; during the trip increased noise perception) as well as two single cabins about 9 qm). On the Upper deck, cabins feature opening windows.